Sandee's Cotons - 2 cute, pudgy males available, born March 15th. Our Coton de Tulears dogs are a family affair! All four of us, Kent, Barbara, Alicia, and Jonathan are very involved in the raising, training and loving of this wonderful rare breed. Barbara and Jonathan (our Junior handler) are actively showing the cotons in the show ring. Kent and Alicia are very involved behind the scenes. I have been actively involved with the breeding of Performance Quarter Horses and Great Pyrenees for the last twenty years. All have outstanding show records. I am very much aware of traits that should and should not be bred; temperament being of the utmost importance. Health is always important in breeding animals. Therefore, all of my breeding stock has yearly blood panels done as well as being OFA cleared for hips, patellas, elbows and thyroid. Their eyes are cleared by CERF. I am now into my third generation of Cotons, which from a health stand point is very important, because I do know what is behind them. We at SanDee's have dedicated ourselves to the excellence in breeding your "next best friend". Health tested Champions and Champion bloodlines, bred to the FCI Standard, are used for breeding at our kennel. Our Cotons are fluffy little white balls who are home raised and socialized for your enjoyment. The Coton de Tulear is a rare dog that was bred strictly for companionship by early Coton breeders. There are few genetic defects. These dogs have an average life span of 16 - 18 years. We have been raising and breeding Cotons since 1995. 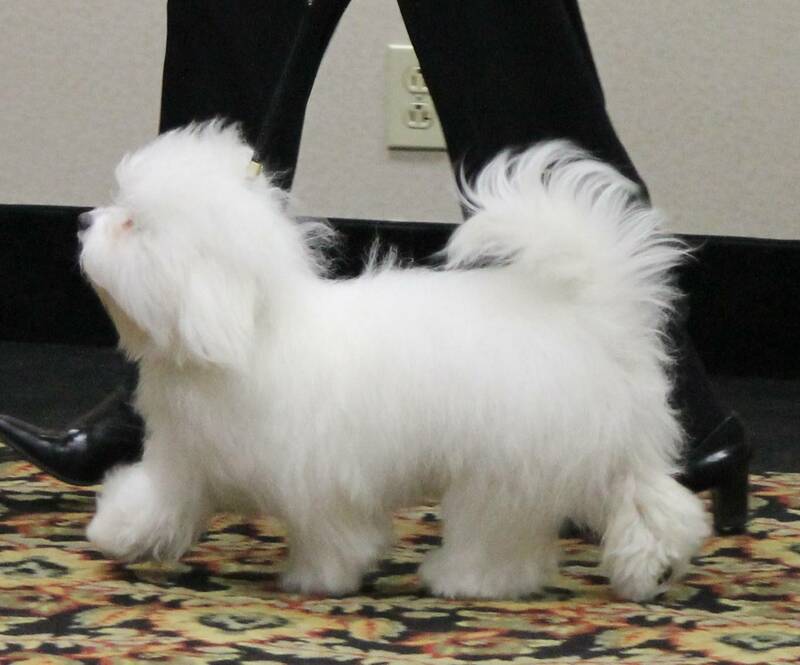 I became interested in the Coton de Tulear in 2012 when I was looking for a small breed that would compete well in performance sports. I was attracted by the fact that Cotons spent several hundred years without human care and today’s breed is heavily influenced by natural selection. We are located at the edge of Texas’ Big Thicket approximately 50 miles northwest of Houston.